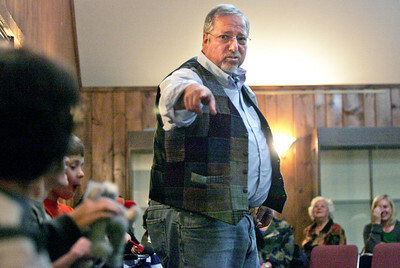 Monica Maschak - mmaschak@shawmedia.com Storyteller Ben Rosenfield points to his children helpers as he told a Russian tale about how "it could be worse," during the fifth annual Tellabration Celebration at the Prairieview Education Center on Saturday. Monica Maschak - mmaschak@shawmedia.com Andy Talley with the McHenry County Storytelling Guild, changes his expression when telling the audience a story about Thanksgiving in Canada during the fifth annual Tellabration Celebration at the Prairieview Education Center on Saturday, November 17, 2012. The audience heard tall tales and folklores from six storytellers. 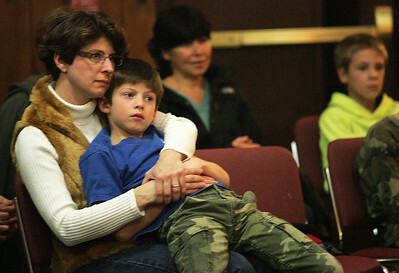 Monica Maschak - mmaschak@shawmedia.com Kim Koy, of Cary, holds her seven-year-old son, James Koy, while listening to six storytellers from the McHenry County Storytelling Guild at the Prairieview Education Center Saturday night. The Guild and the McHenry County Conservation District hosted this fifth annual Tellabration Celebration to be part of a worldwide event where storytellers all tell stories on the same weekend. 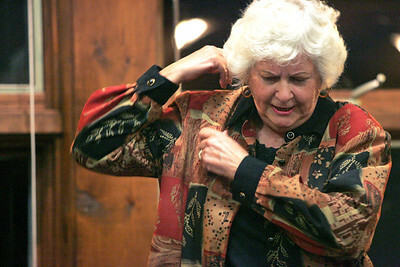 Monica Maschak - mmaschak@shawmedia.com Storyteller Nancy Neckerman plays out the visuals of her tall tale from China at the fifth annual Tellabration Celebration on Saturday. 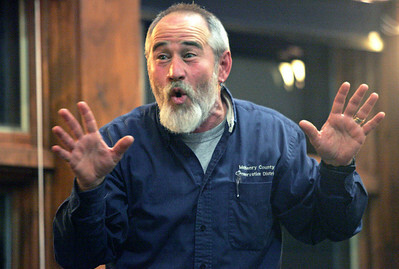 Andy Talley with the McHenry County Storytelling Guild, changes his expression when telling the audience a story about Thanksgiving in Canada during the fifth annual Tellabration Celebration at the Prairieview Education Center on Saturday, November 17, 2012. The audience heard tall tales and folklores from six storytellers.